This item is sold! 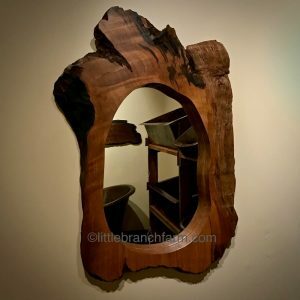 Please contact us to order this mirror! Custom sizes available! 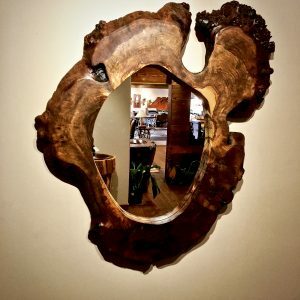 The redwood burl mirror built using ethically sourced old growth redwood live edge wood slabs. Salvaged from the forest floor of the Pacific Northwest. These logs and stumps discarded by loggers years ago, as its said one mans trash is another’s treasure. 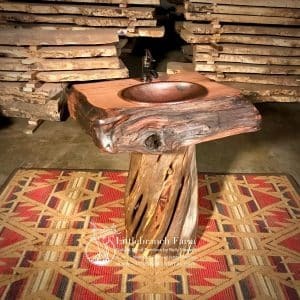 Along with the rustic wood mirror natural wood furniture such as live edge wood platform bed or a wood slab table. This majestic tree given a second life natural wood furniture. 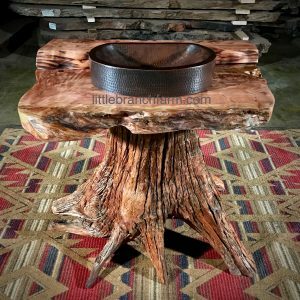 Wood furniture makers and DIY woodworkers desire its burl wood and live edge wood slabs. 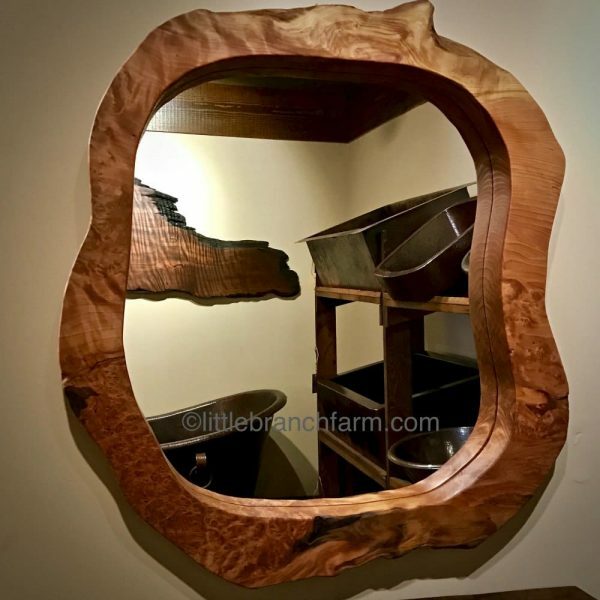 This live edge wood mirror style is available in custom sizes.